Sport is one of those things that you’ll have to go a long way to find somebody that has no interest in. Whether it’s football, cricket, rugby, swimming or athletics, most people will have some sort of interest in a sport, be it watching or taking part. And because of this, there are countless numbers of sport blogs on the internet for you to keep up with your chosen sport on. There are many quality sports blogs out there; general sites that cover a wide range of sports and sport-specific blogs that will focus on one individual sport and specialise in the ins and outs of the that sport. We’ve compiled a list of the best sport blogs for you to check out and enjoy. We’ll cover a range of sports and also include a few general sport blogs too. What’s our criteria? We’ll be including blogs that provide genuinely good content and expert insights to their specific sport. We’ll also take into account how easy the site is to use, design will play a small part too, but ultimately we’re looking for the best sport blogs, so we'll be checking out the blog awards scene too. We thought we’d start our list of the best sport blogs with the most popular sport in the world, but we’ll get to golf later on and start with the best football blogs instead. Winners of the Best New Football Blog in the 2016 Football Blogging Awards, The Football Lab is a great blog focusing primarily on English football. 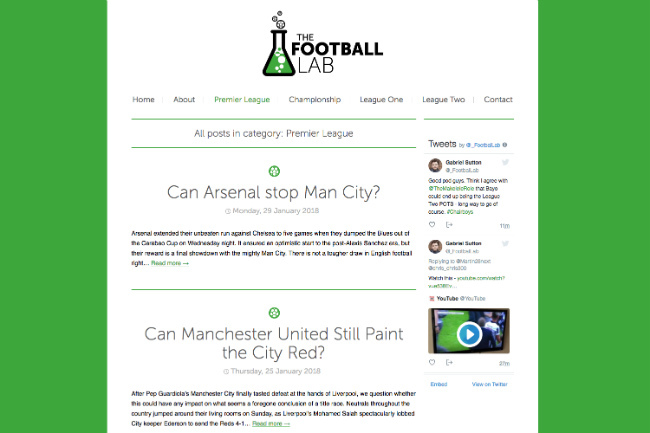 Unlike many football blogs, The Football Lab provides insights, news and analysis throughout the Football League from the Premier League to League 2, rather than solely being a Premier League blog. For football fans across the world, transfer talk is one the favourite points of discussion all season long with transfer deadline day being on par with Christmas. 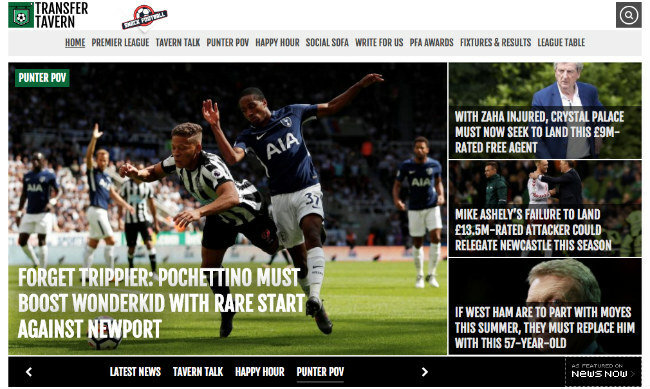 The Transfer Tavern’s transfer focus make it one of the most popular football blogs out there but as well as transfers, TT provide quality content around Europe’s biggest leagues including the Premier League, La Liga, Serie A, Scottish Premier League and others, with news articles, pre-match build up, match day reviews and much more. Head over and give them a read here. 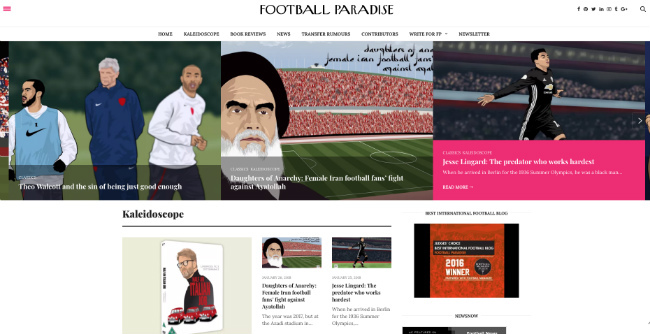 Football Paradise is one of the most broad football blogs on this list. Covering a wide range of subjects within football, Football Paradise makes for worthwhile reading if you’re looking for something more in depth than the tabloid sites. You haven’t got to look into the Football Paradise blog too much to see that they take an in-depth look at football as a whole. With articles including assessments of individual players and managers of the men’s and women’s game, book reviews, a look at the political side to the beautiful game, interviews and a whole lot more. 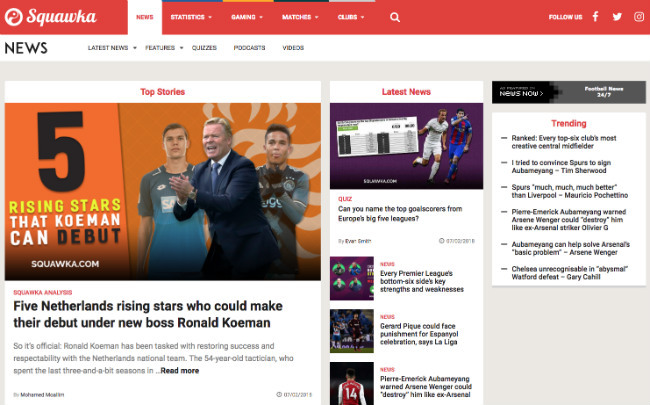 If you’re looking to read up the latest news and happening off the pitch, Inside World Football is the ideal football blog for you, looking into the business of football all around the world. 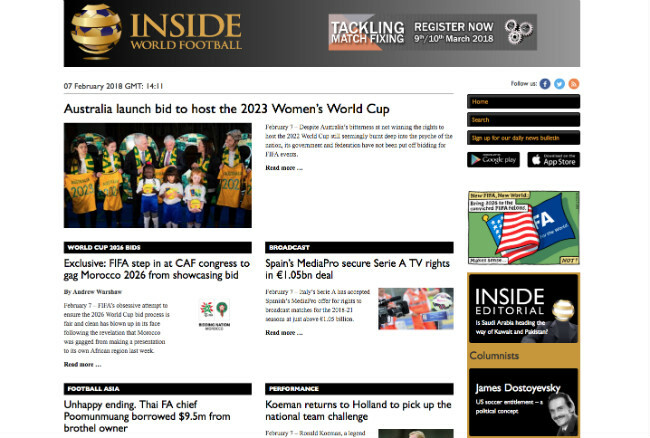 Inside World Football cover a vast range of areas within football that include football finance, marketing and sponsorship deals, tournament bids and a look into the latest FIFA news. They even look into the latest law news within football. 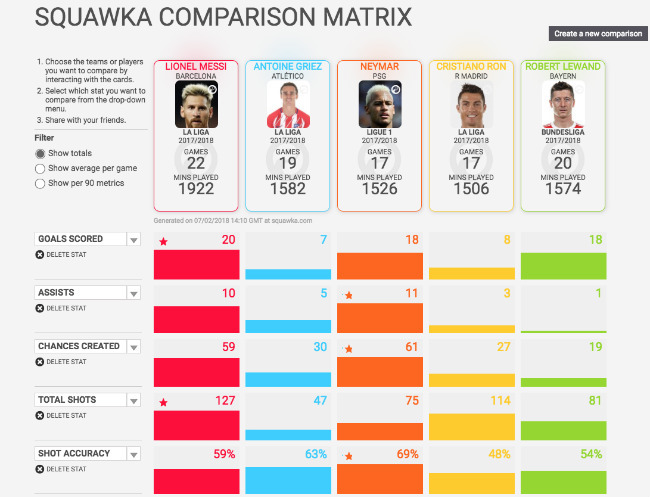 If you’re a football fan, you’re most likely well aware of Squawka and their site already. Probably best known for their statistical reporting and analysis, Squawka are definitely one of the best sites for Premier League analysis and news. As well as Premier League news, Squawka also feature quizzes, release their own podcasts and video content as well as boasting one of the best statistics comparison tools on the internet, which you can see below. 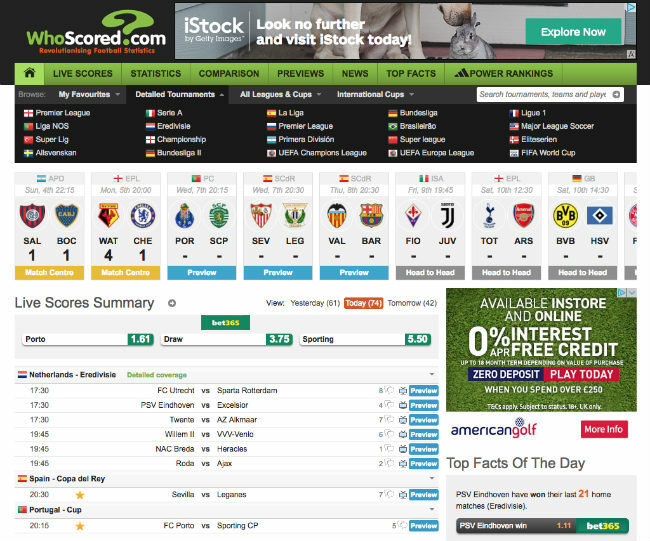 Once again, if you’re a football fan, you’ll know all about WhoScored? 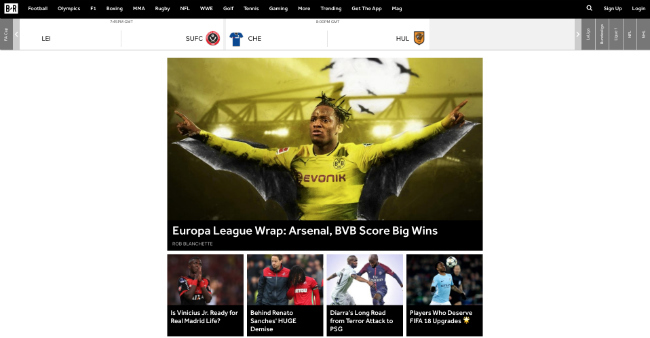 What makes WhoScored? so special is that they cover football all across the world and not just Europe and the Premier League. If you want to know the latest scores and football betting odds from the MLS, Greek, Brazilian or whichever league, WhoScored? will have it covered. Much like Squawka, WhoScored? are known for being one of the go-to resources for football stats, and which football fan doesn’t love a good statistic? Give the WhoScored? site a visit here. Next up on our list of the best sports blogs is tennis. Not only is tennis by far the most popular racket sport in the world, it’s one of the most popular sports in the world. The likes of Roger Federer, Serena Williams, Rafael Nadal and our very own Tim Henman have elevated what was already a well loved sport to new heights in recent history. 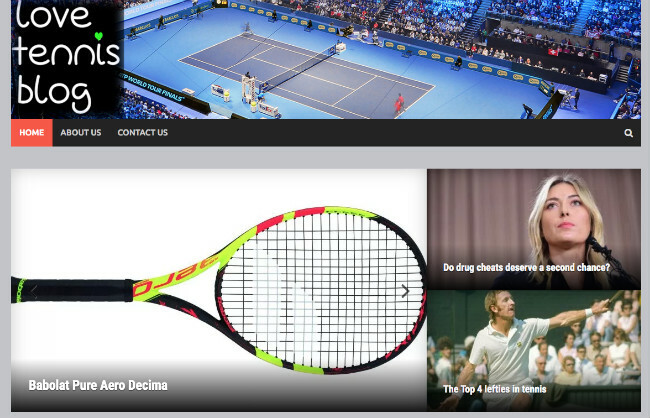 If you’re looking to read a tennis blog, check out these sites. 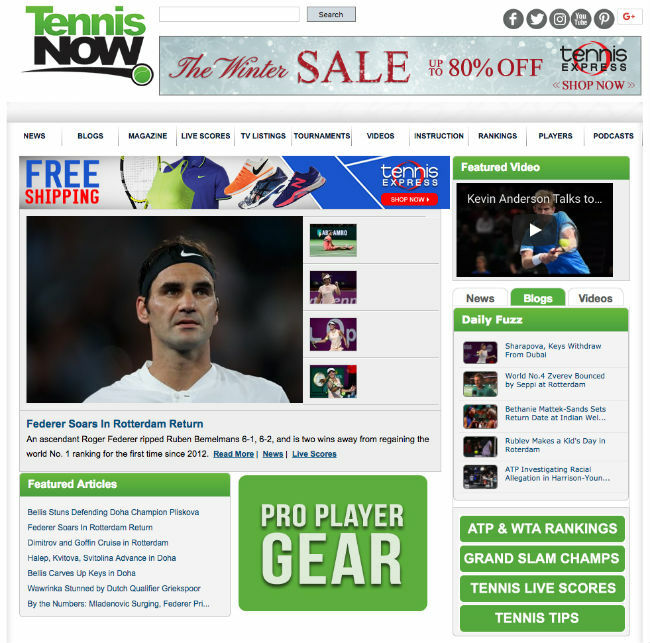 The online supplement of the popular tennis magazine, Tennis Now is many tennis fans’ go-to for the latest tennis news, latest rankings and tournament information. As well as videos, podcasts and a range of other great content, Tennis Now also has an ‘instruction’ section, providing tutorials and tennis tips for playing better tennis yourself. Check out Tennis Now by clicking here. Granted, this isn't the prettiest site in the world, but Love Tennis is one of the most popular tennis blogs out there for it’s well written and interesting content. Sharing opinion based articles, as well as product reviews, player profiles and tournament news it’s easy to see why tennis fans enjoy reading Love Tennis regularly. Horse racing is possibly the most researched sport due to the high levels of betting activity that takes place. Therefore finding a reliable blog that will give trustworthy news, statistics, race calendars and real-time results is important for many horse racing fans. Bringing you the latest race highlights, news, and stats Racing Post is an ideal hub of information for the racing fan. As well as bringing you UK horse racing information, Racing Post also take a look at international racing and also feature a section for greyhound racing too. 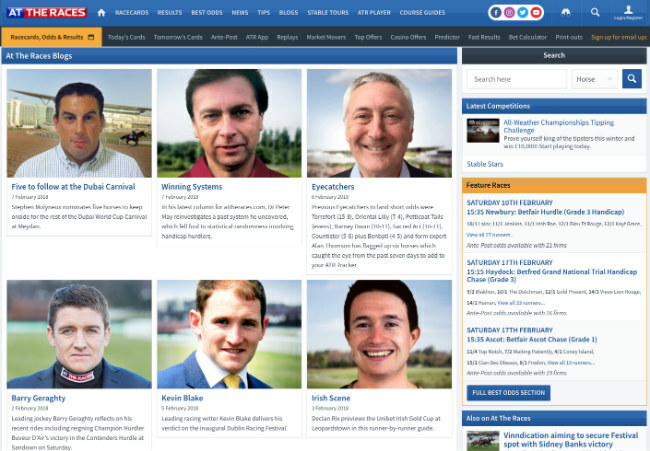 Racing fans will be fully aware of At The Races already; Sky’s own dedicated horse racing channel, but did you know that their website is packed full of great horse racing blogs? The At The Races blogs features articles written by racing experts, pundits, commentators and racers themselves. Giving you expert insights that you wouldn’t normally get from a fan blog. 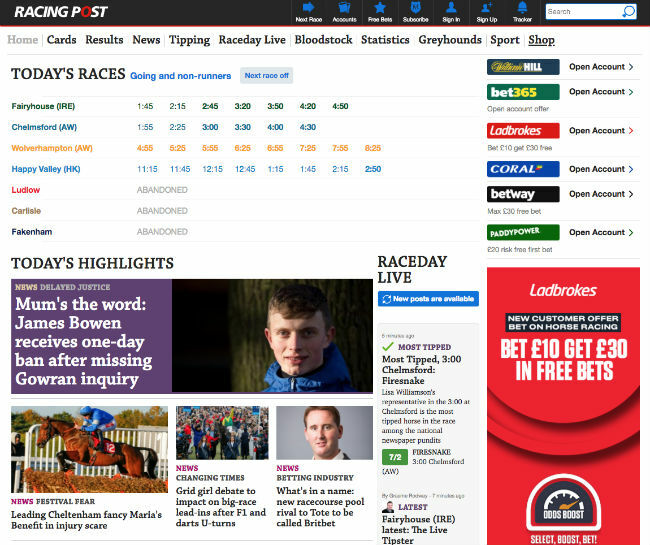 Well worth checking out if you’re looking for quality horse racing content. This is a great sport blog that covers a range of sport including football, darts, NFL and many more sports. However the primary focus and main topic of conversation is horse racing. 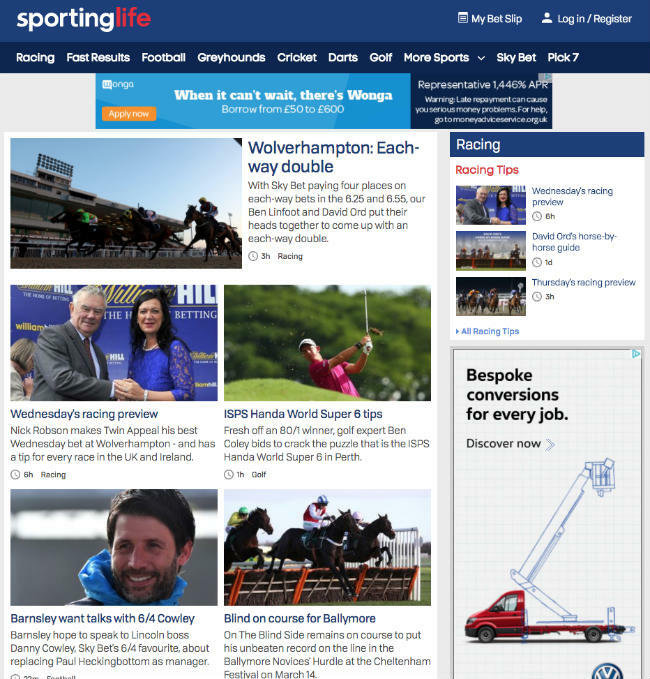 Sporting Life bring you up-to-date news regarding all things racing and offer event previews leading up to race day. Once again, in association with Sky, you know you’re going to receive quality and reliable content. You have to admire what rugby players do; putting their bodies and faces on the line to win games and entertain the fans. This is one of the reasons why rugby fans are some of the most dedicated fans in all of sport. As the well known saying goes, with quality support comes quality blogs… Here are the best rugby blogs to keep up to date with. 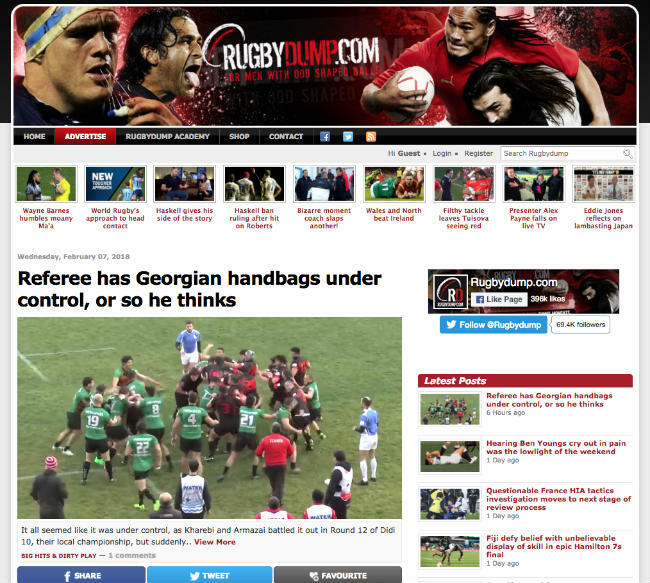 Rugby Dump is a one-stop-shop for Rugby Union fans. As well as bringing you the latest news from the big tournaments and internationals, Rugby Dump take a look into the youth squads and talents of tomorrow, offer training tips and tutorials so you can brush up your own skills, player and manager interviews and tactical analysis too. Check out Rugby Dump here. 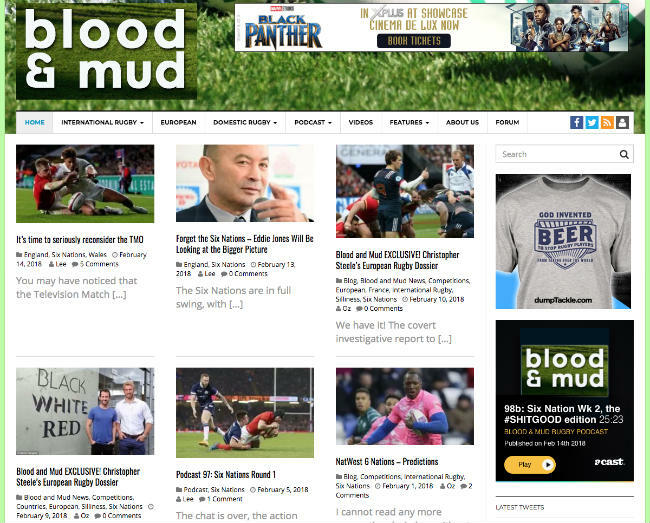 If you’re looking for a range of Rugby content, Blood and Mud is well worth checking out. As well as the standard news and game previews, Blood and Mud keeps you updated with regular podcasts, videos and a wide range of special features. The focus spans international and domestic rugby as well as keeping an eye on what’s happening in Europe. The creatively named Rugby Blog is an in-depth focus into England Rugby and the Aviva Premiership. 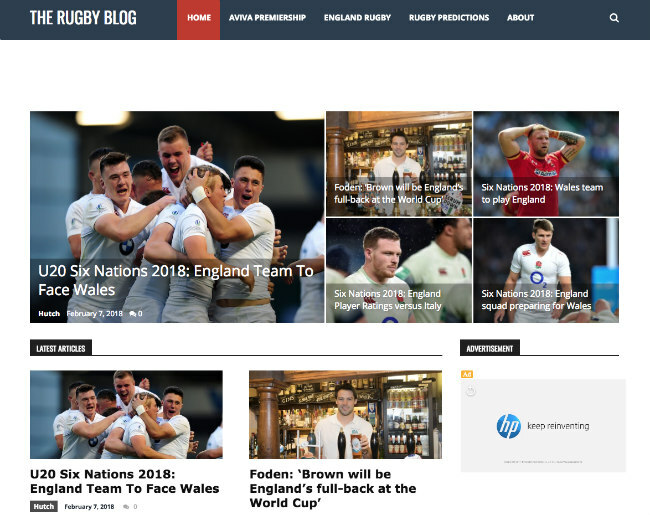 If you’re looking for news and articles into the ‘mainstream’ area of Rugby Union, the Rugby Blog is a great place to start. 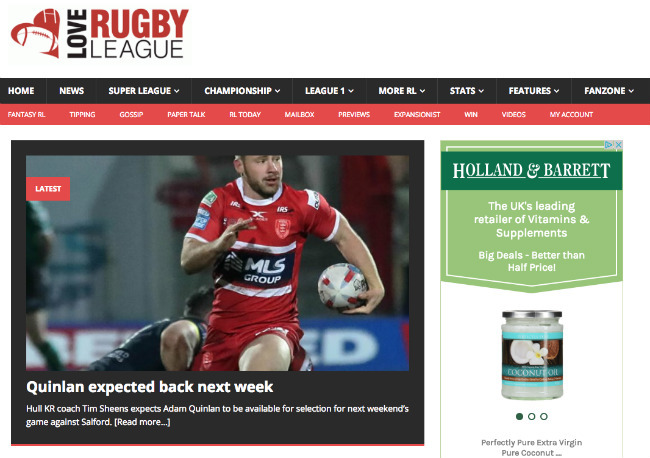 Love Rugby League covers plenty of areas within Rugby League including the Super League, Championship and League 1. As well as the domestic competitions LRL looks into internationals and cup competitions too. As far as sport blogs go, Love Rugby League is very fan-focused with a specific Fan Zone area for Fantasy Rugby League, tips and much more. Head over to Love Rugby League here. Boxing has seen somewhat of a resurgence in the last few years, after being through what many writers labelled as boxing’s ‘dark ages’. Dominant, and often called boring, champions such as Wladimir Klitschko and Floyd Mayweather have stepped aside and boxing seems to be getting back to a place where the goal of fighters seems to winning titles rather soley than making money and picking opponents they know they can easily take care of. 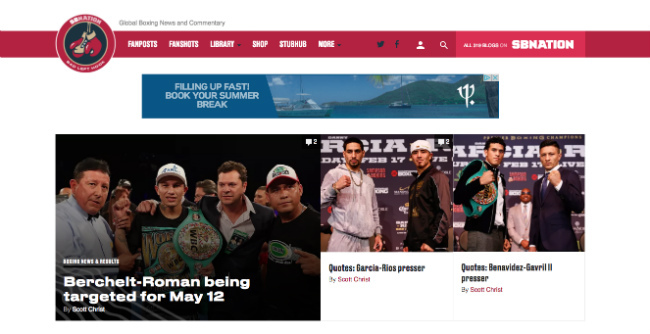 With this increase in interest comes a need to for reliable and quality boxing information; here are some of the best boxing blogs to check out. Keeping you up to date with the latest news, rumours and negotiations from all around the world, across all the weight divisions, Bad Left Hook is widely considered to be one of the best boxing blogs out there. 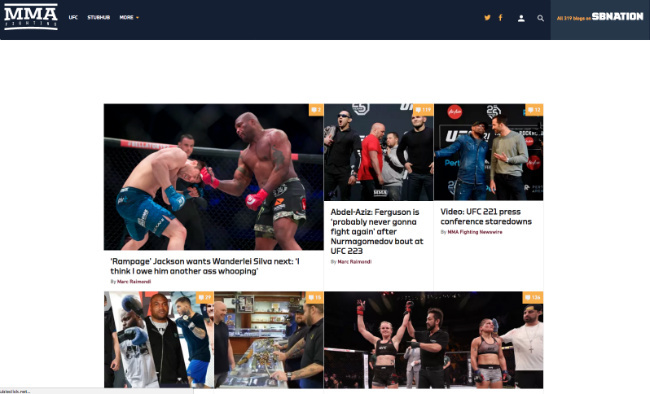 Featuring fanposts and articles written by many different authors, Bad Left Hook brings a range of opinions from experts across the different weight classes and continents, keeping their blog posts fresh and reliable. Head over and have a look here. 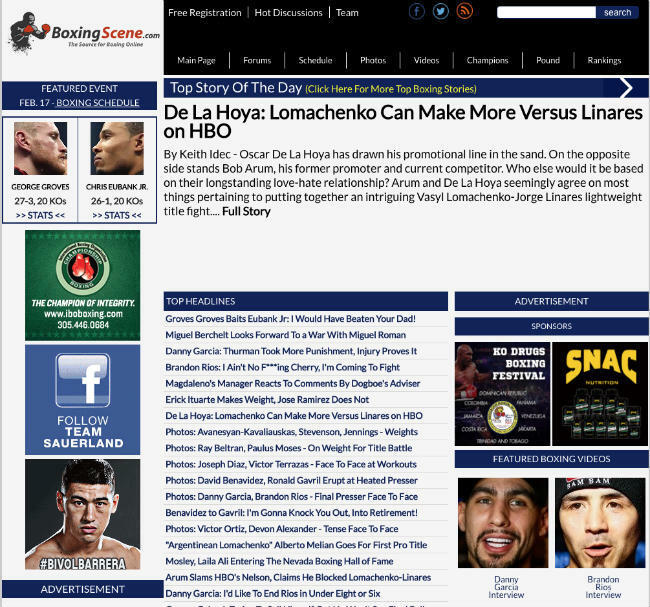 One of the go-to resources for boxing fans across the world, Boxing News is much more than the latest boxing news. With training insights into the biggest upcoming fights, throwback articles to legends of the past and historical fights and a wide range of video content, you'll find that you learn a thing or two on Boxing News. If you’ve ever visited r/boxing, the boxing subreddit, you’ll have most likely seen a Boxing Scene link there at some point (and if you’ve ever spent any time of Reddit, you’ll know that users are quite fussy with which links are shared). This shows that boxing fans not only like Boxing Scene’s content, but are happy to share the links around as a reliable source of information. 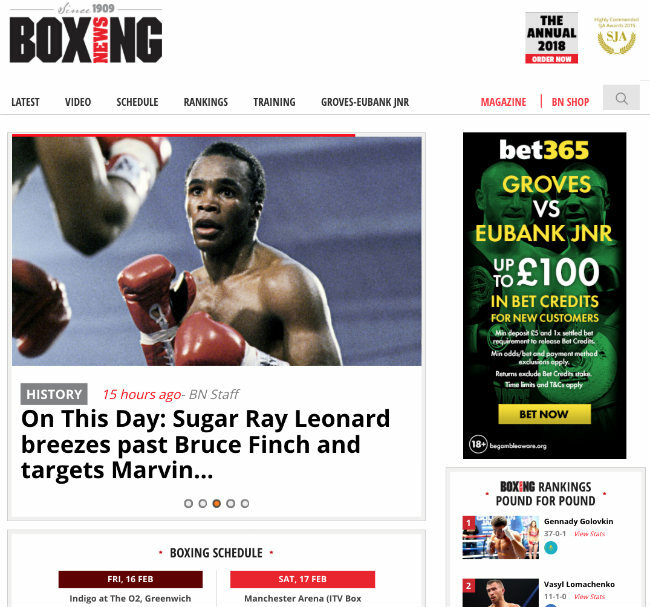 Boxing Scene isn’t the best designed site, in our opinion, it’s a bit square and basic, however the quality of the articles more than make up for the lack spice on the style front. Sticking with blogs focussed on people punching each other in the face, let’s take a look at the best MMA blogs. Mixed Martial Arts has seen one of the biggest rises, maybe in sporting history, in the last 10-15 years with the emergence of UFC very much driving the popularity rise of MMA in general. With increased popularity comes an increase of people talking about the sport and blogging about it too. Here are our favourite MMA blogs. 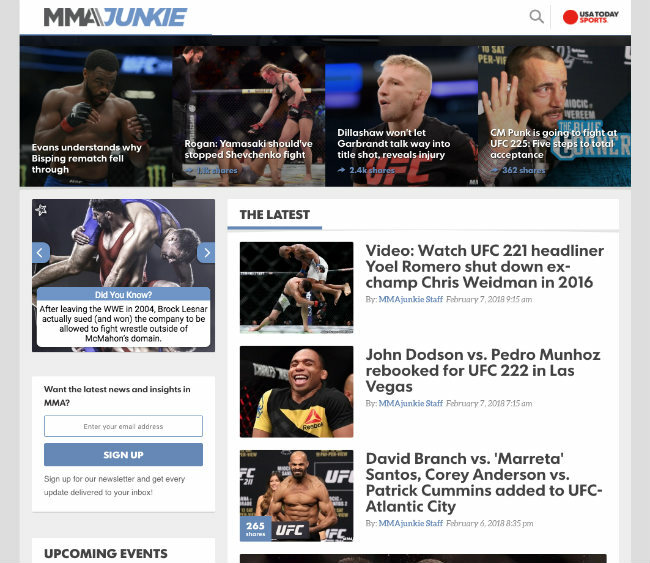 What makes MMA Junkie so special for us is that they have their very own MMA Junkie radio section on their website. So if you’re looking for a different way to get some MMA conversation, the MMA Junkie radio could be your way to keep up with the latest MMA news on the go or while you’re at work. The main bulk of the site is geared up to bringing you the latest fight rumours, fighter profiles and latest interviews from all around MMA. With a UFC and Bellator focus, MMA Fighting is well worth keeping up to date with if you’re a UFC fan or you’re looking to learn more about MMA. MMA Fighting isn’t exclusively a UFC and Bellator blog, they also feature the other organisations and events from around MMA. Their MMA Fighting YouTube channel is incorporated into the videos section of the site, which features live chats, event preview shows and interviews too. Possibly the most technical and glamourous sport in the world (alongside darts, of course) F1 attracts a huge audience all around the world. Here are the best F1 blogs to keep an eye on. When you’re talking about an expert blogging about their sport, James Allen is right at the top of the pile. A former ITV commentator and BBC correspondent, current Financial Times’ F1 writer for almost 20 years and ghostwriter of Nigel Mansell’s book, in short, he knows what he’s talking about and can offer insights that not many people can. 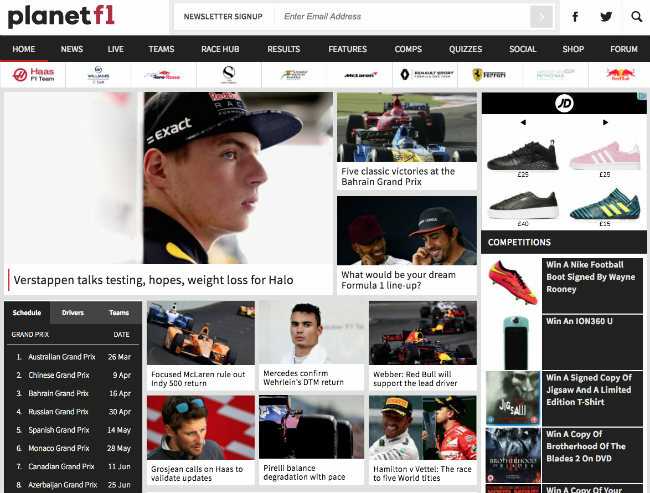 James Allen on F1 includes news and articles about the latest happenings in F1, insights on team strategy and the latest innovations and much more. Planet F1 is an all encompassing F1 blog that brings you everything you could want from a sport blog. As well as the latest news regarding drivers, teams, rules and results, Planet F1 also runs competitions and features fun F1 quizzes for you to get stuck into. As well as these features, they have their own forum for fans to get involved with an voice their opinions and discuss the latest events. Head over to Planet F1 here. 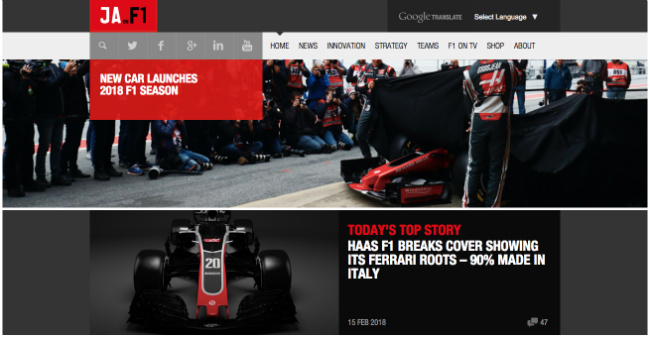 Formerly known as F1 Fanatic, the newly renamed RaceFans is a motor racing blog that has a bias towards F1 content. 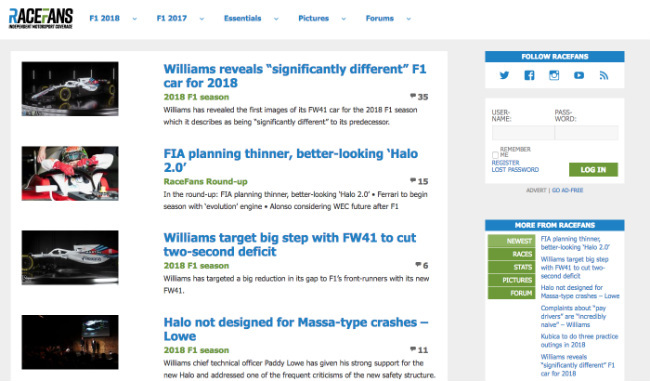 As well as F1, you can now get your fix of Formula-E, WEC and Indycar content on RaceFans as well as any other major motor racing news, but as mentioned, the majority of content is F1 based. The only sport that you can stop and have a kebab in the middle of, you can see why cricket appeals to so many people. If you’re looking to read up on cricket online, these are the best cricket blogs to take a visit to. Another one that does exactly what it says on tin, The Cricket Blog is a site that covers the sport of cricket in depth from all angles. The Cricket Blog looks at cricket from all around the major cricketing countries and competitions too. 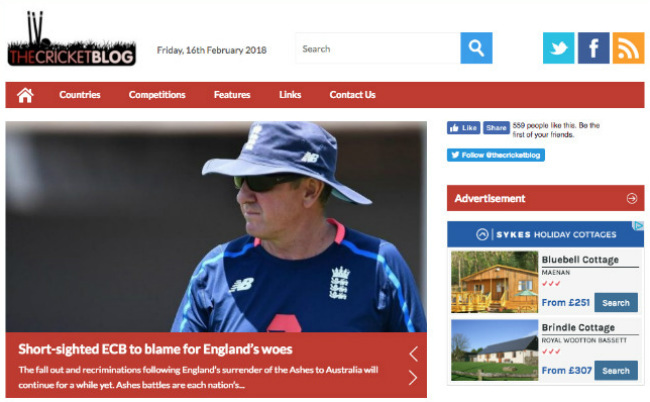 With features such as player profiles and a regular newsletter thrown in, it’s a fully comprehensive cricket blog worth taking a look at. Check out The Cricket Blog here. Ran and edited by James Morgan, TFT is an independent cricket blog that is dedicated to providing quality articles around England cricket. The content spans across T20, the Ashes, county cricket, ODI’s - if there’s cricket happening and an English team are involved, TFT will be covering it. Golf, much like darts, is one of those sports that causes debate about whether it is actually is a sport or not. “If old people can play it without breaking a sweat, it’s a game, not a sport” and all that. Regardless of what the skeptics say, golf is one of the most popular sports played by sports people. If you’re looking to increase your knowledge of golf, these are some of the best golf blogs you might want to spend a bit of time on. 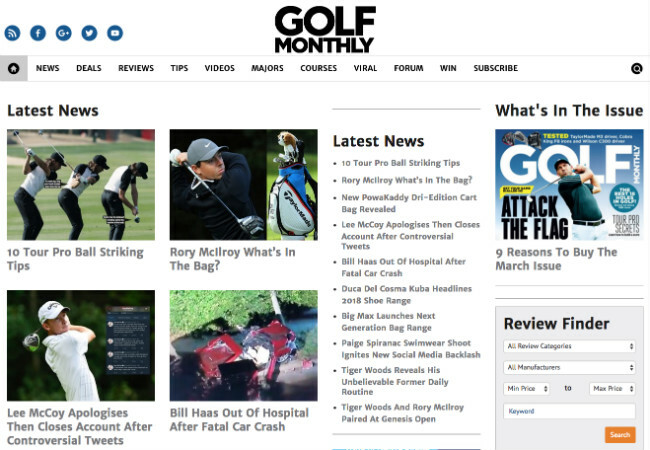 The online version of Golf Monthly magazine, the Golf Monthly website is a great resource in its own right. Regardless of what you’re looking for, whether it’s news, golf tips and advice or course information, Golf Monthly will most likely have something for you. Golf Monthly also provide clothing and equipment reviews, and also have a section on their site where they bring you the latest deals on golf clothing, accessories and gear so you can find the best products for you and save some money too. Win win. Golf Blogger is a superb blog that looks into multiple aspects of the sport (/game) of golf, bringing you news from within the sport but also industry news regarding the business and financial side of golf. 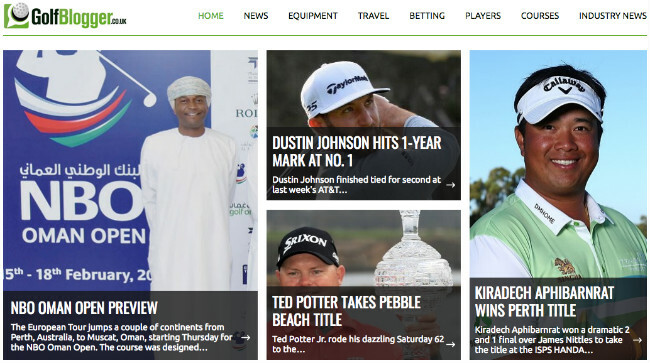 As well as news, tournament info and he latest betting odds and rankings, Golf Blogger also have their very own Travel section looking at golf from around the world. An instructional blog very much focussed on improving your own ability, How To Break 80 offers a wide range of useful and actionable tips that you can implement into your game. If you’re looking for useful, easy to understand advice on how you can improve your swing, perfect your putt or just make slight adjustments to your game, How To Break 80 is definitely worth checking out. In my opinion, snooker is one of the most under-appreciated sports in the world when you consider the control and technique displayed by the tops players. Many people can throw accurately or kick a ball hard, but striking a cue ball with the precision of a snooker player is something most would struggle with, nevermind doing it wearing a bow tie… Anyway, here are a few of the best snooker blogs on the internet. 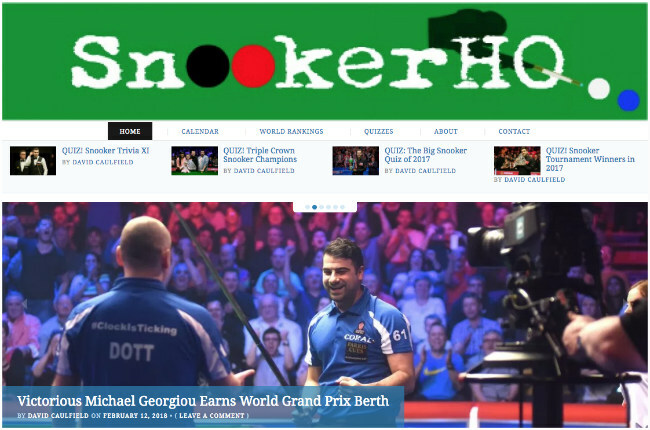 Featuring the latest tournament news, quizzes and much more, Snooker HQ offers detailed articles into the latest happenings in the snooker world. Not only does the Snooker HQ blog provide the latest news, but also showcases different features such as recommended books about snooker or written by players, a look into youth tournaments and, as mentioned, quizzes to keep you entertained. So this might be a bit of a cheat inclusion, as this isn’t strictly a blog, but where else to get your snooker news that the World Professional Billiards and Snooker Association? The WPBSA for short. 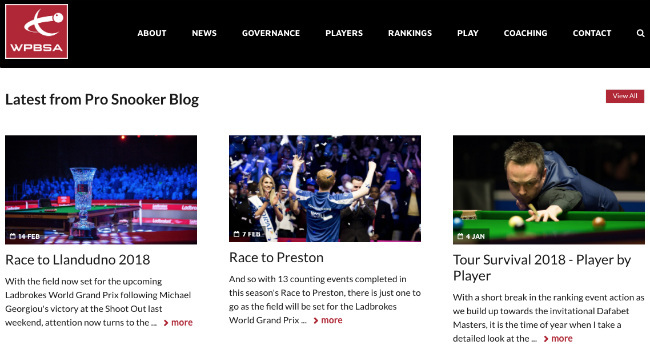 The blog on the WPBSA website features the latest news from the pro snooker circuit as well as the latest rankings, tournament information and player profiles. Not only will the blog keep you up to date with the snooker news, but also features sections for how you can get involved and try your hand at snooker yourself, whether it’s playing or coaching. We also want to point you in the direction of a couple sites that cover a range of sports that we think are definitely worth your time checking out. The Players’ Tribune is genuinely one of the best sports blogs on the internet, providing some of the best content and insights from the players themselves at the very top of their individual sports. 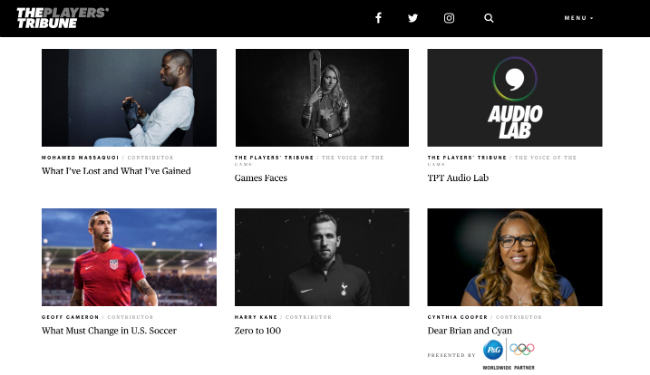 A great looking site that gives fans a chance to hear from the players directly with articles written by some of the biggest names in sports, giving a look into their mindsets, their own journey and a deeper look into the sport than as fans we’d usually never see. Visit the Players' Tribune here. BR provide some of the most in depth articles that you could ask for across various sports around the world. Bleacher Report cover over 25 sports from football to fishing, lacrosse to WWE. Over 6 million Twitter followers gives you a clue just how good Bleacher Report is, well worth diving into if you’re looking for insights into a range of sports. Head over to Bleacher Report here. We’d love to get a mention one day! We’re working on it!